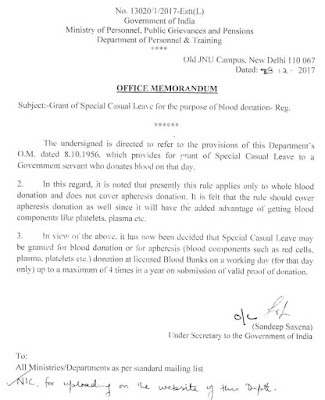 Subject: Grant of Special Casual Leave for the purpose of blood donation – reg. The undersinged is directed to refer to the provisions of this Department’s O.M. dated 8.10.1956, which provides for grant of Special Casual Leave to a Government servant who donates blood on that day. 3. 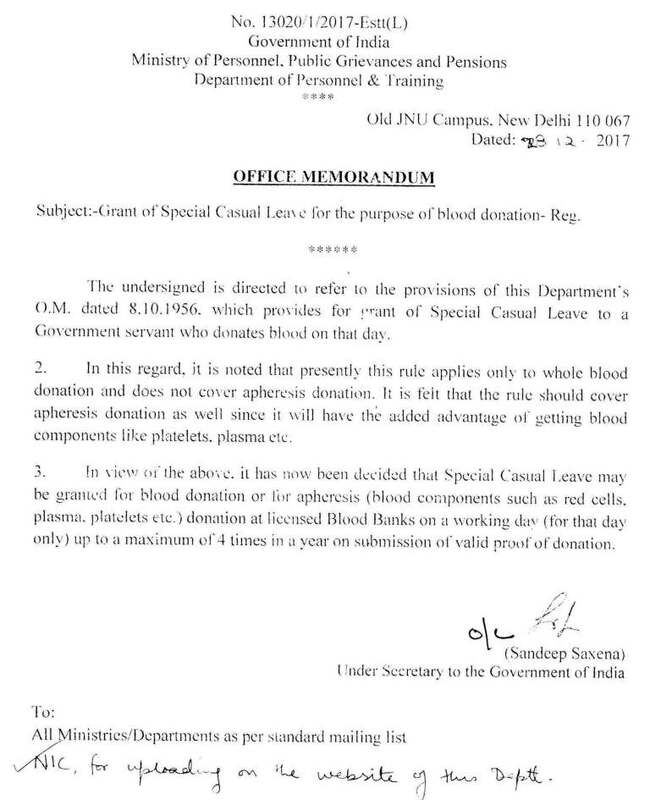 In view of the above, it has now been decided that Special Casual Leave may be granted for blood donation or for apheresis (blood components such as cells, plasma, platelets etc.,)donation at licensed Blood Banks on a working day (for that day only) up to a maximum of 4 times in a year on submission of valid prood of donation.